Here we are, months after Twitter’s 11th birthday, and how the social media landscape has changed in that time. Twitter is now one of the “big four” social media platforms, and a household name in 2017. But, unlike Facebook, whose origin story has been well documented and dramatized, few people know how the micro-blogging platform got its start, or how its rise to popularity began. At Little Egg Solutions, we know the importance of social media to business success, and part of that is understanding the platform at a deeper level than the average user. So, please, join us as we take a stroll down memory lane with a lesson in #Twistory (the history of Twitter). When did Twitter get its start? The well-known 140-character limit started as a practical matter. Twitter was originally SMS-based, and 140 characters was all the space that could be allowed while still leaving room for a username. When the platform became web-based, the 140-character limit stuck as a signature of the brand. It encouraged both social interaction and information sharing in bite-sized, real-time communications, changing the face of blogging. How did a micro-blogging platform get so big? Addictive, as it turns out, was exactly the right word to describe Twitter’s micro-status update platform. There is some controversy about how popular the platform was in the early days before Odeo co-founder Evan Williams bought back all Odeo assets from investors, including Twitter. At the time, there were only 5,000 registered users on the platform, but whether or not Williams knew it, Twitter was about to blow up. One year after launch, Twitter boasted 60,000 tweets a day at the South by Southwest Interactive conference. With a steadily increasing user-base, Twitter grew to more than 105 million registered users by April 2010 and 200 million registered users by September 2011. In 2013, Twitter filed a successful IPO, and now, the latest data reports 700 million Twitter users (and 500 million tweets per day). But why? The secret to Twitter’s popularity seems to be a combination of user-driven innovation, convenience, and our desire to connect with others and make our voices heard. When did Twitter become a business tool? Twitter has changed the way that consumers interact with brands on a cultural and individual level, and it has changed their expectations from companies that want their patronage in a couple of ways. When the “promoted tweet” was first introduced as an advertising medium, it addressed a pain point for both consumers and for companies. For businesses, it presented a new way to integrate advertising into the mobile experience, by inserting it into the streaming feed of consumers (a common practice in many platforms today). For consumers, marketing on Twitter, which was nearly indistinguishable from other tweets (and later trends) prevented the interruption of their experience by pop-up ads and bulky banners. This catering to user experience is part of what built the expectation of personal interaction from brands, and it created a whole new way to interact with consumers and reach them where they already were: on their phones, and on social media. The rest, you could say, is #Twistory. What can we learn from #Twistory? We know now that Twitter is a powerful marketing tool, but it’s also an example of entrepreneurial success that small and medium business owners can aspire to. Twitter is “the next big thing” personified, and they kept that momentum turning over to become one of the biggest platforms on the web and an invaluable asset for businesses. At Little Egg Solutions, our job is to help you use social media to get your “next big thing” rolling, and to maintain that momentum in a perfect storm of marketing success. Contact us today to find out how! Social media is essential to the health of your business, so much so that outsourcing social media management to firms like Little Egg Solutions is becoming more commonplace. But for those going it alone, learning to maximize your impact on social media platforms can be the difference between healthy growth and dangerous stagnation. Twitter for Business is one of the most important tools at your disposal, with a massive user base and features that are ideal for business use built into the platform. But how can you harness the power of social media in 140 characters or less? To help you out, we’ve compiled a list of five ways to make the most of your company’s Twitter for Business account. Twitter offers a number of features that you can use to your advantage right off the bat. You can create a feature box by making a Lead Generation Card with a special offer and pinning it to your account. You can make sure your Tweet button for your site recommends that people follow you whenever they tweet an article. You can even create a custom graphic with important information and use it as your background image. These simple tricks will give your Twitter account the personal touch that customers have come to expect. Links are an important part of a successful social media marketing campaign, and Twitter is no exception. Now that any link, no matter the length, is read as 22 characters, URL shortening is no longer necessary to fit the 140-character limit. Tweeting links to industry-related news, entertaining articles, or useful information is a great way to engage your followers – and to gain new ones. And don’t forget to use the link feature on your account to backlink to your site so customers can find you easily! Adding pictures to posts, especially within the platform (as opposed to tweeting from Instagram or another third-party site) is a great way to get your followers’ attention and give them a look into the world in and around your business. Customers want to know the people behind the business, so introduce them to your team with a group photo, or snap a shot of your workspace to give them a glance at what you see every day. It builds trust by building a personal connection. Developing your brand’s unique voice on twitter is every bit as important as uploading a quality profile picture, or linking your website. Twitter for Business gives you the opportunity to connect with your customers on a personal, individual basis, but on a greater scale than in-person interaction. Keep your tone in line with what your business represents, your company and community values, and use that flair to engage your audience and keep them coming back for regular updates. The first business-minded purpose that companies associate with Twitter is to drive traffic: to your blog, to your site, or to your brick-and-mortar location. But it is so much more. Twitter is the crossroads of customer service, human resources, public relations, and marketing. Address the concerns of your customers with quick, personal responses. Find candidates and contractors for your growing workforce, and help them communicate efficiently. There are countless opportunities to harness the power of Twitter to enhance your business. With these five techniques, you can turn your Twitter for Business account into the powerful brand-building and marketing tool you’ve always dreamed of. 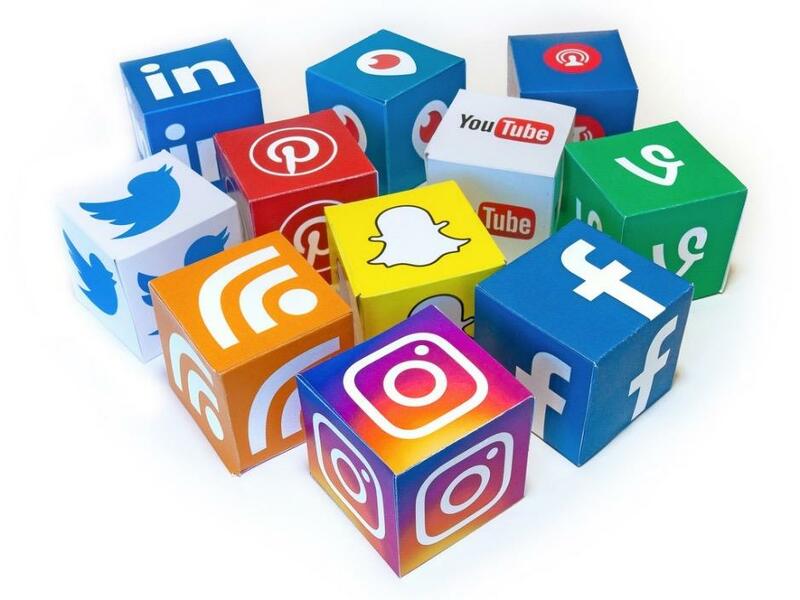 The world of social media is becoming more and more business-friendly, with major platforms adding features to enhance your online marketing strategy with every new update, and it can be hard to stay ahead of the curve. Little Egg Solutions is here to help you navigate the waters. Contact us for a free consultation today, and see how we can help you build your business with the power of social media management.